The very first Cloud Hosting platform on the market created exclusively for Telco startups. Now you can start your Telco with a single consumer grade server and SERVERware Standalone edition. Start small and grow your business with clear path to upgrade to the SERVERware Cluster. Now you can start your Telco with just 2 consumer grade servers and SERVERware Mirror edition. Start small and grow your business with clear path to upgrade to the SERVERware Cluster. 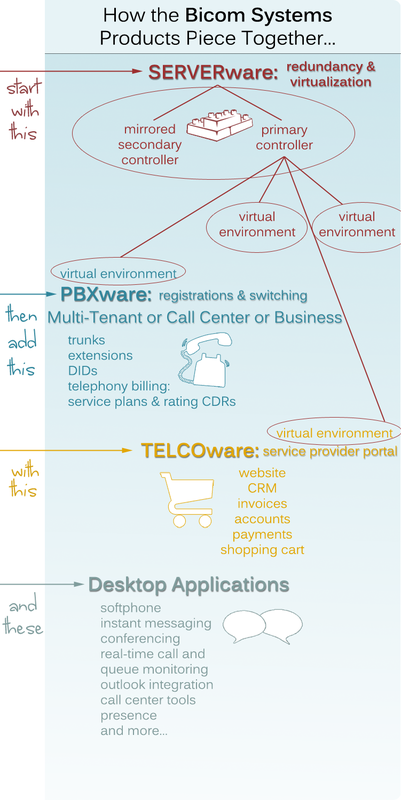 Easily expand your startup or switch already established Telco business to a most flexible Telephony Serving platform on the market. SERVERware Cluster is built for swift scalability and simplified management of large number of Hosts and VPS. It ensures super low TCO and fast ROI.